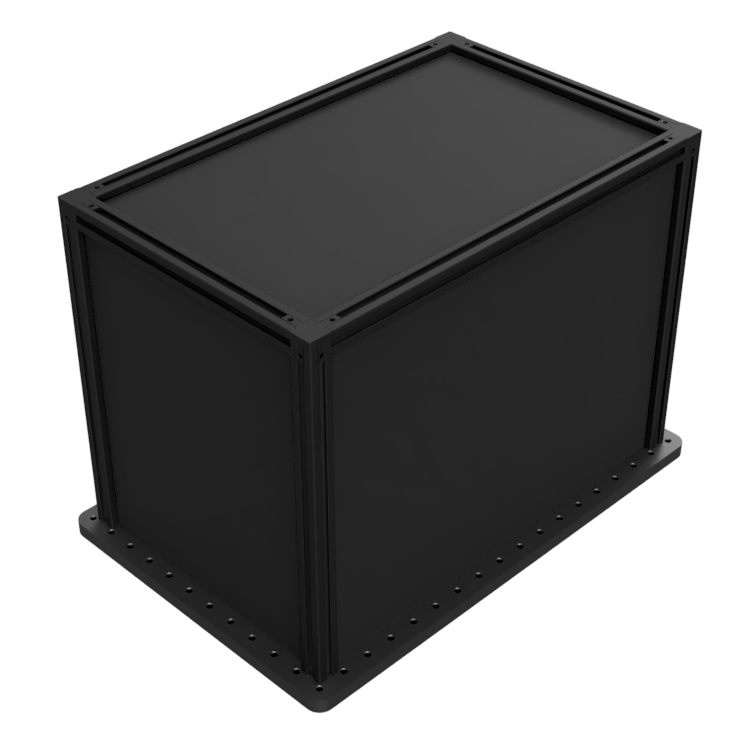 Optical enclosures with black anodized aluminum sides provide a durable solution for eliminating stray light from your experiment. Base Lab Tools uses our industry standard X2020 rail system to provide a cost effective, lab-ready enclosure. Enclosures come partially assembled and flat packed and can be installed in place in minutes.